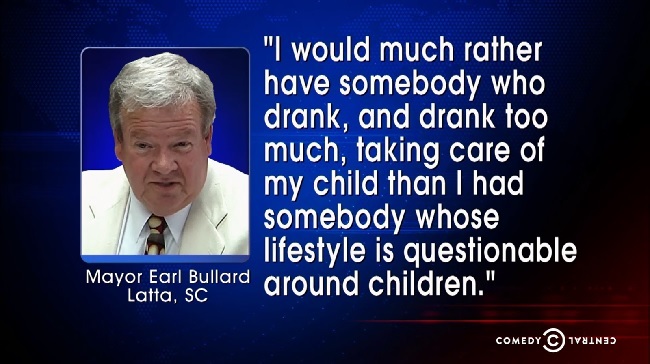 My jaw dropped when I heard the recording of South Carolina mayor Earl Bullard’s reasoning for firing his lesbian sheriff…and replacing her with a guy convicted of drunk driving. He was caught on tape saying, “”I would much rather have somebody who drank, and drank too much, taking care of my child than I had somebody whose lifestyle is questionable around children.” Bullard now smugly denies it. This stuff still happens people. Here’s a handy image quote I made so you can easily share this odious quote with all your fake Internet friends.